Has your insurance company delayed payment for your insurance claim? Has your insurance company wrongfully denied payment for your insurance claim? Has your insurance company wrongfully low balled payment for your insurance claim? If so, you may be able to recover not only the damages that you are entitled to under the underlying claim, but also additional damages due to the insurance company’s bad faith conduct in handling your claim. Far too often, homeowners and business owners have felt like they have been wronged by their insurance company. They feel as though that they have been taken advantage of, or worse, that they have been forgotten about while they are stuck to deal with a tragic loss to their home or business which they paid good money to their insurance company to protect. 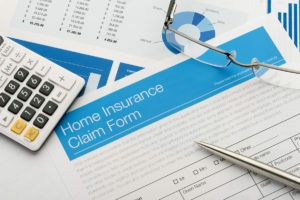 Under certain circumstances, homeowners and business owners can pursue a claim against their insurance company for bad faith. However, there are two pre-requisites prior to bringing such a claim. First, the insurance company must be put on notice by filing a Civil Remedy Notice of Insurer Violations with the Florida Department of Financial Services and their insurance company. As of the date of filing such notice, the insurance company has 60 days to cure. Subsequent to a failure to cure within the 60 days, the issues of liability and damages must be determined, meaning that after that 60 day period has passed, the insurance company provided coverage or additional coverage for your claim. Under such circumstances, an action for bad faith may be able to be brought against the insurance company for the losses you incurred as a result of its bad faith conduct. Makris & Mullinax, P.A. is a Tampa Bay insurance claim law firm specializing in homeowners insurance claims and commercial property insurance claims, including bad faith insurance claims. If you experienced a delayed insurance claim, a wrongfully denied insurance claim, or an underpaid or low-balled insurance claim, please contact us promptly for help.